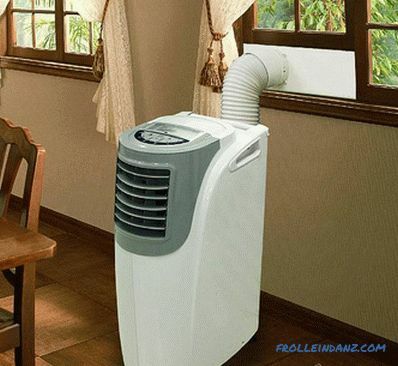 The installation process of the air conditioner can be divided into two stages: preparation, that is, the choice of location, and, in fact, installation. Of course, it is important to do everything correctly, in accordance with the technical documentation. Self-study will require certain tools. For example, a special pump is required for evacuating the apparatus. In case of lengthening of the freon line, it is necessary to increase the volume of the refrigerant. 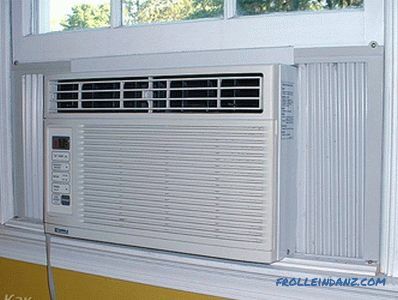 The installation point depends on the specific type of air conditioner: window, mobile, floor or split. The area that it will cool and the interior matter. It is better not to direct it to where people often sit, that is, on sofas, desks and beds. 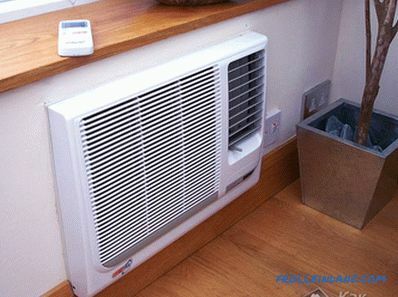 It is advisable to place the indoor unit as close as possible to the window sill. 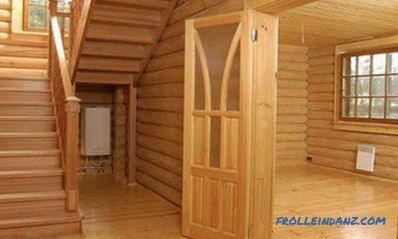 Distances from the ceiling, walls and floor for free passage of cold air should be respectively 15, 30 and 150 cm. The outer module is mounted outside the window or to the right of it, but so that the sides do not close the opening. If the device is placed on the ground floor, then it is mounted at a height of not less than 3 m from the ground. The rules also require placing outdoor boxes not under the direct sun and in places well blown by the wind. 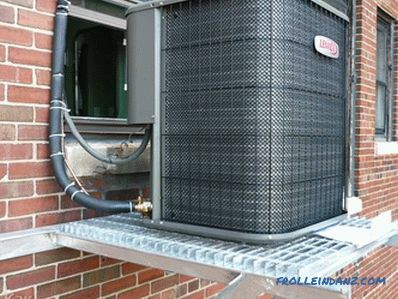 The placement of indoor and outdoor units should be optimal in terms of the freon line and hose condensate drain. To do this, consider the thickness and material of the facade walls. The amount of refrigerant according to standards is calculated for a line of 5-6 m. At longer lengths, coolant is added to the system. 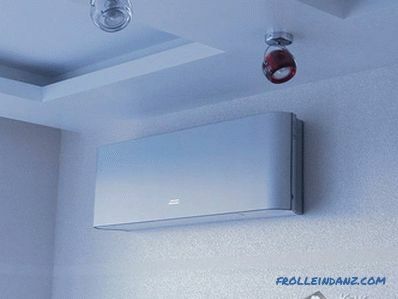 On the other hand, the minimum allowable length is 1.5 m. If the back-to-back modules are suspended, dividing only by the outer wall, the route will have to be increased to the required size, laying a loop behind the outer duct of the air conditioner . 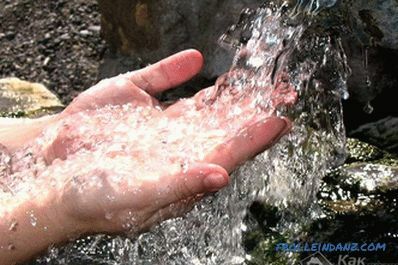 It is necessary to dampen the vibration and noise from the operating device. Drill holes. It is better to direct openings for the withdrawal of highways with a slight inclination towards the street, therefore, the indoor units should be higher in height than the outdoor ones. This requirement is due to technological reasons. Not only the refrigerant will circulate through the tubes, but also low-temperature oil for normal operation of the device. 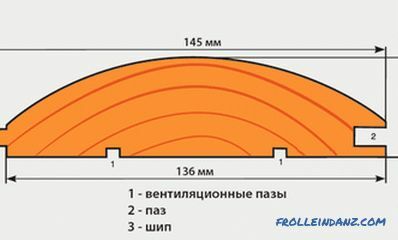 The smallest diameter of the wall hole is 5 cm. If there is no suitable drill, you can drill several holes of smaller section - for each drainage and wire. With concrete slabs with frequent retention of reinforcement - this is generally the only possible way. Mount the exterior. It may require the services of industrial climbers. It is advisable to perform all operations for at least two people, since the device is rather heavy, weighing up to 60 kg, depending on power. The easiest way is to hang it on ropes attached to the anchor, fastened below and further horizontally from the place of attachment not less than 30 cm. Otherwise, it can be torn out along with part of the wall. Both brackets are fixed with anchor bolts. It is important to accurately observe the horizontal level. If the block is crookedly hanging, the accumulated condensate will not drain into the drainage tube. Collect refrigerant piping. Copper tubes are straightened and cut to the required length using a pipe cutter. The most basic thing at this stage is to roll the ends correctly. The rolling device consists of a cone and a vice. In a vice it is clamped the end with an indent of 1.2-1.9 mm. This edge is needed to form a rim under the nut. 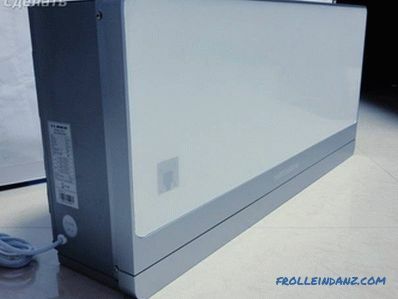 Flared tubes, together with drainage and electrical cable, are wound with metallic tape and connected to the indoor unit of the air conditioner according to the instructions. At this stage it is necessary to install a decorative box. This must be done just before the track is connected to an external unit. Then the opposite end of the line must be carefully pulled out, protected from debris and connected as well. The final stage is the removal of moisture or vacuuming. This can be done in two ways: a sophisticated high-tech or a simple method of "zilch". 1 - port of the liquid pipe; 2 - port for a gas tube; 3 and 4 - valves with protective caps; 5 - spool for refilling and bleeding freon. The pumping process will take 5-7 minutes, depending on the length of the track.After that, you need to open the valve number 4 for the intake of coolant and immediately close it. Part of the freon will flow out. 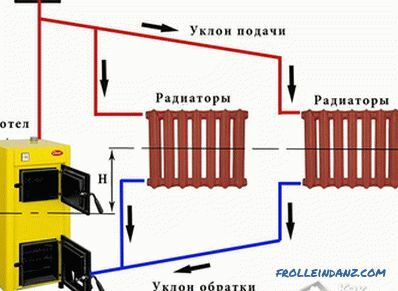 This method is the only available if the length of the pipes is more than 6 meters and there is no possibility to fill the air conditioner with a coolant. With a short route, you can try another method that does not require a vacuum pump. It is necessary to blow the air out of the line with the liquid. 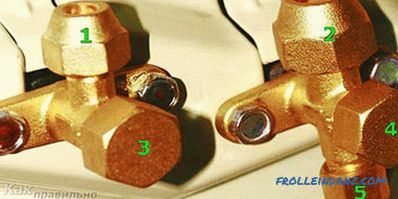 To do this, unscrew the caps of the valves number 3 and 4, as well as the valve № 5. Valve number 4 must be rotated 90 ° for a few seconds to let in some freon, and then shut off. Now, clicking on the valve number 5, you need to release the mixture of refrigerant and gas almost completely. Almost - because part of it must remain and prevent the ingress of outside air. 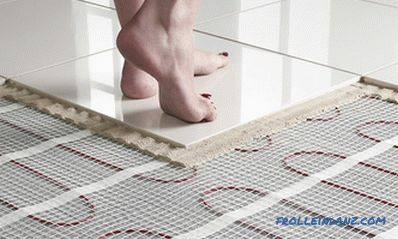 After removing the moisture, you must fully open the gas and liquid valves and check the tightness of the connections by covering the joints with soapy water.